We have an action item that you might be interested in participating in. The Region of Peel, in coordination with the City of Brampton's future streetscaping program, is beginning a multi-year project that will replace aging infrastructure, replace and reline existing sanitary sewers, as well install new water mains and sanitary sewers. This project provides an opportunity to create a vibrant urban centre in downtown Brampton. The City of Brampton is working towards creating an aesthetically beautiful streetscape around the historic Four Corners. From Mill Street South to Chapel Street on Queen street and Nelson Street East and Wellington Street on Main Street, an environmental assessment is underway to define and create a street that will bring together pedestrians, cyclists and motorists in a safe and sustainable way. From the addition of cycle lanes to landscaping between street and sidewalk to capitalize on pedestrian walkability and enhance amenities, the public realm in downtown Brampton is set to undergo an exciting transformation. Brampton residents: Please find your councillor and let them know that you support the Downtown Brampton streetscaping project. An important part of this project is the introduction of separated cycle tracks, creating a safe space for people to bring bicycles downtown, which BikeBrampton has posted on before. Early feedback on the project has been very supportive. 61% of the PIC No. 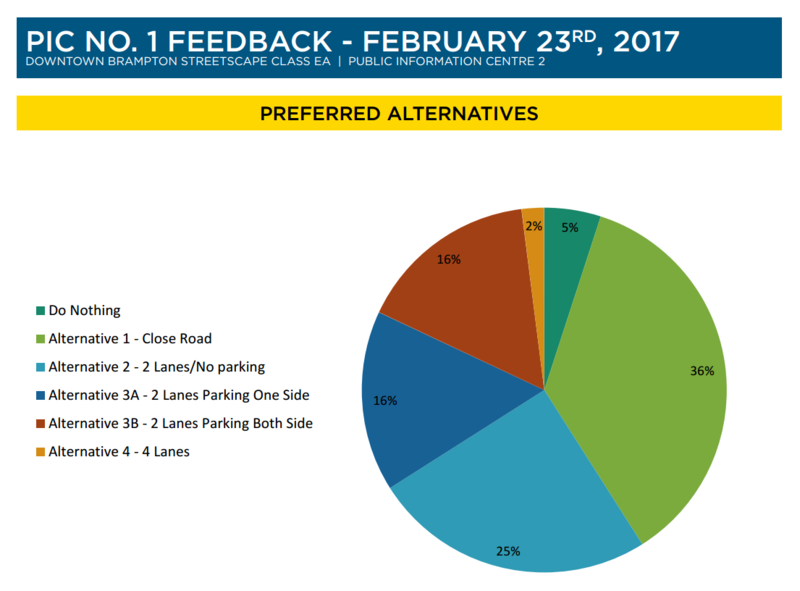 1 feedback supports removing on-street parking! However, some concerns have been expressed about the removal of on-street parking. We thought that this would be a good opportunity to share some information about how cycling benefits the local economy, sharing insights from North America, and around the world. Whereas some car manufacturers have needed a helping hand from higher levels of government, bicycle production around the world has surpassed automobile production. Closer to home, a very important demographic shift is occurring: Drivers licenses are not seen as being important. This phenomenon is not limited to Canada. It's happening across North America. 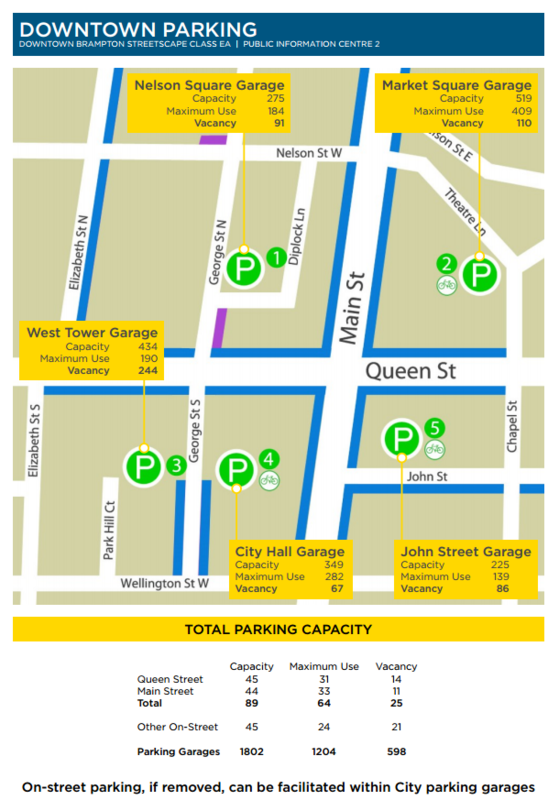 This suggests that spending money to continue supporting on-street parking, particularly when it's clear that there is enough garage parking to cover the removal, is not a sound investment. "They may buy less per visit. But over the course of a month, bikers out-consumed drivers at bars, restaurants and convenience stores." Several studies, including a study from Toronto, now show a pattern of cyclists and pedestrians end up spending more each month than drivers. One of the ways to potentially cut this gap and boost spending size is to support the use of cargo bikes. As was the case with the automobile industry, investing in cycling as a transportation solution creates jobs and spinoff business. Like cars, bicycles periodically need repair. This creates an opportunity for businesses to maintain and repair bicycles. Custom bicycle designs have become successful in cities like Detroit and Portland. Copenhagen is the home of the Larry vs. Harry Bullitt. The availability of cargo bikes has started to change how business is done in a very important sector: Logistics. Brampton is close to Pearson Airport, and has a significant CN intermodal yard. 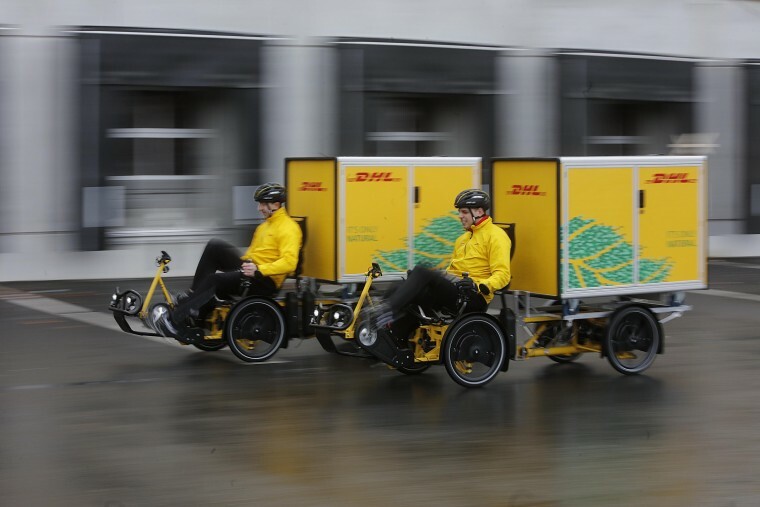 Companies like DHL are utilizing electric assist cargo bikes to replace trucks for inner city delivery. They offer many advantages, including being able to make up to two times as many stops per hour than a delivery vehicle. The total cost of ownership over their lifetime is less than half of a van. UPS has launched a similar initiative in Portland. Going back to potential local business benefits: "The electric bike was also designed and built in Portland by Truck Trikes". The bicycle, now celebrating it's 200th year, is making a comeback. Our modern-day paved roads started with people demanding better places to cycle. History is repeating itself around the world, and Brampton has an opportunity to be an important leader in this change. Again, please find your councillor and let them know that you support the Downtown Brampton streetscaping project. Please share this email to anyone else that you think would also care about this matter, and also to your social media channels.